Matt and I (plus our 3 pups) arrived safely in the sunshine state late Sunday night. Despite only a few hours of sleep, the next day we headed to the nearby fruit and veggie market, The Farmer’s Daughter, to scope out the bins and bins of citrus. The mission was to make “something simple, something easy, something that will leave us time to swim, play with our pups, visit with family, and rest after the long drive.” Preserved lemons were just the answer. We make a jar of them every year using fresh “off the grove” Florida lemons. They are a rather unusual tasting treat and add extra flavour to homemade stews, salads, Moroccan dishes like tagines, or eat as a side. Wash and place 1 x 1 litre jar in oven at 250F for 30 minutes to sterilize. This process is probably unneccessary but we always clean and sterilize the jars we use ~ it’s a habit. Wash and scrub the lemons well. Cut of the blossom end of 10 lemons (or however many you can fit in your jar). Then slice the lemons in quarters to within 3/4 inch of the base so they open but remain as one. Pack 1 tablespoon of salt into the slits of each lemon and then pack them tightly into your sterilized jar. This should encourage the natural juices of the lemon to release. 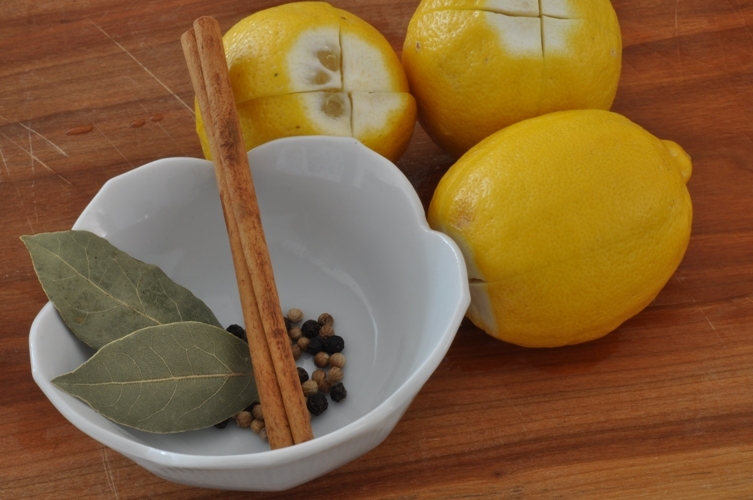 Add the spices to the packed lemons, distributing them evenly throughout. Squeeze the juice of the remaining lemons and add to the jar. Note: We’ve always added additional lemon juice; however, this is a process of fermentation which should cause the lemons to release their own juice naturally creating a lemony brine that will cover them (similar to the making sauerkraut). 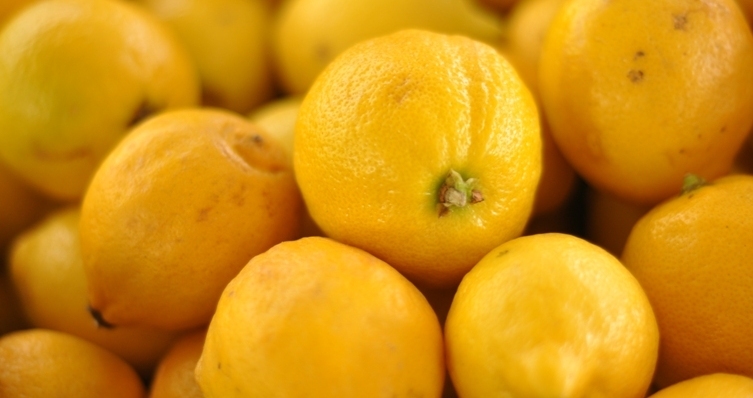 Over the course of the next 2-3 days, press the lemons down more so they continue to release their juice. The lemons should be completely submerged in juice. 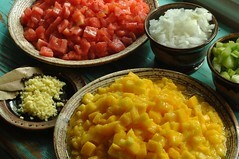 Add more fresh lemon juice if necessary. Seal the jar and leave on the counter to ferment over the next month. Shake the contents daily to redistribute the salt and spices. In a months time move the jar into the refrigerator where it will keep for about 1 year. Note: we have always left our jars to continue fermenting in a kitchen cupboard. As long as you always use clean utensils to remove the lemons and make sure they stay covered in juice (adding juice when needed) they seem to keep. The choice is yours. Over the course of the next few weeks we’ll share some of our vacation with you. 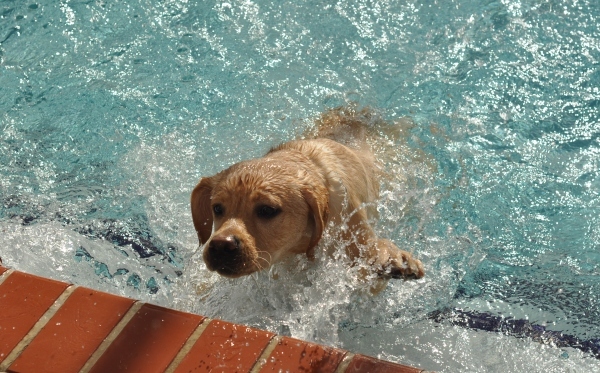 Here is a picture of our youngest pup, he’s just 6 months old taking his first swim in the pool! Glad y’all made it to Florida. 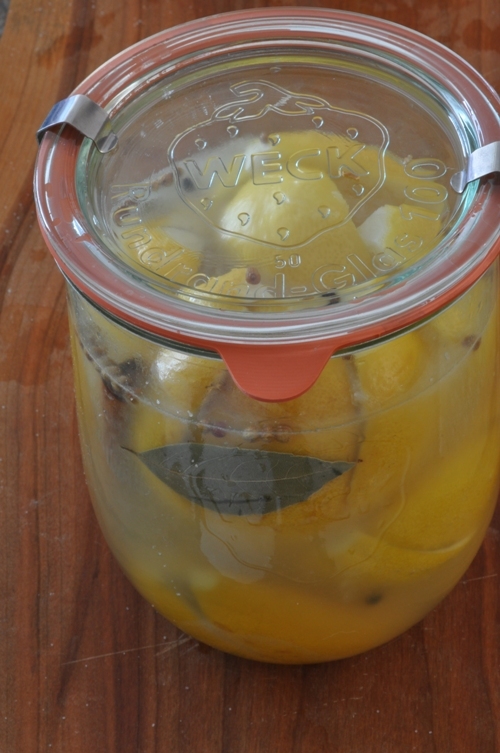 Preserved lemons sound amazing! A tip I got from a restaurant here is to actually quarter the lemons (lengthwise) rather than do that cutting almost to the end for star shapes. It reduces the frustration of digging them out of a narrow-necked jar, and spilling some of the precious juice in the process. Great suggestion. I’ve seen that other people do that. Thankfully, we received some beautiful Weck jars for x-mas. They have a really wide opening (even bigger than the wide mouth jars) so they work wonderfully. But, for those who use the regular mouth jars, quartering may be the answer. what do you use them with? Great used in salads, meat dishes, or anything you’d like.